Orca Limelights is a new ongoing series of performing arts novels. Each book focuses on one performing art, such as music, theater, dance, circus, slam poetry, magic or stand-up comedy. Limelights are at-level novels for ages 11 to 14 with lots of performance action, drama and passion! Webb didn’t come to Nashville to get ripped off. Webb believes that if you want to reach your dreams, you have to live life loud. Bring the roof down. 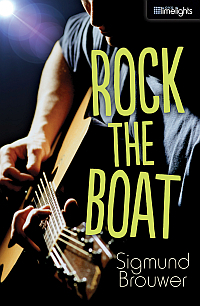 Rock the boat. Make sure that when you look back, you have no regrets. But when a shady music producer steals one of Webb’s songs, Webb finds out how hard it is for a kid on his own in Nashville to get justice. With the help of an unlikely ally, Webb discovers that he has what it takes to succeed: talent, determination and some good friends.